Despite fixing it for pronouncement, The Supreme Court today surprisingly ordered further hearing of the petition filed by senior advocate and former ASG Indira Jaising challenging the “discriminatory” advocate seniority designation rules and significantly also ordered tagging along with it a petition pending in the Delhi HC challenging section 19 of the Advocates Act. Jaising said the section wrongly created two classes of advocates. Interestingly Chief Justice T S Thakur assured Jaising that in the interim period there no new lawyer will be conferred ‘senior’ tag. “No there is no proposal to give seniority to any one”, the CJI told Jaising who sought an extension of the stay till rules are framed. The bench said Jaising’s petition in apex court and the one pending in HC will be clubbed together and heard in February. On October 21 the day when the bench reserved its orders, there was heated exchange and the CJI also lost his cool. Tempers frayed when the assemblage in front of the judges dais were clearly divided into pro-change and anti-change group, with several of them arguing at their top of their voice, passionately, animatedly. The battle lines were clearly drawn. 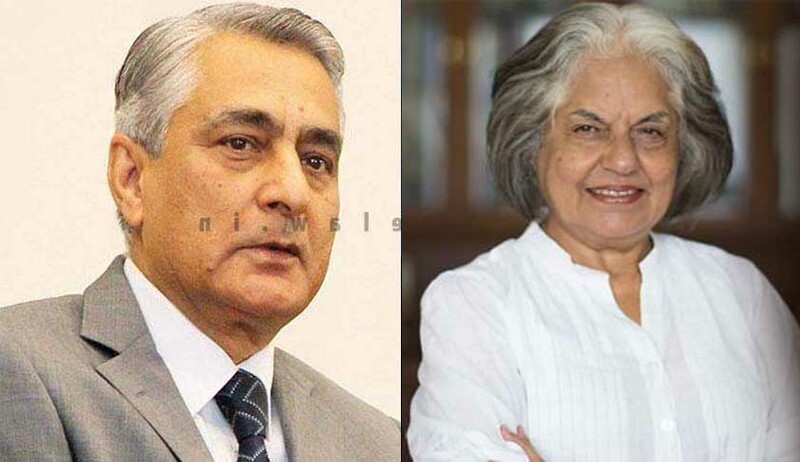 While those vociferous and vocal where petitioner Indira Jaising, SCBA President Dushyant Dave and some others like Mathew Nedumpara, the more subdued and measured were Attorney General Mukul Rohatgi and senior lawyer and eminent jurist Soli Sorabjee who were submitting their views on the vexed issue. All hell had broken loose with one of the lawyers shouting at his top of his voice while damning the present system “full of bias and hanky panky” and seemed to be giving a speech, the Chief Justice lost his cool. “Shut up. I say shut up.. shut up I say. I will get you thrown out of the court. Why are you shouting? Is this a court or a fish market? Shut up I say. I will get you thrown out. There has to be some dignity of the court. This is the problem. People who do not conduct themselves in the courtroom want to become senior lawyers”, CJI told the lawyer. “You keep quiet. There is a dignity of this court. Is this a court or a market place? You are not a party in this matter. Just look at (eminent lawyer) Soli Sorabjee. Just look at him and try to learn something. Do you think raising your voice and browbeating will help you”, Justice Thakur said. At the outset, Jaising said that monopoly at the Bar of a handful of seniors was affecting access to justice and sought a system that provided equal opportunity to all as she compared it with the concept of monopolistic and restrictive trade practices. She alleged that the present system was discriminatory and if we want this to continue with the present system, it has to be democratised. However, her suggestions that a lawyer with 20-30 years of experience or those who filed PILs and had published articles in prominent periodicals should be automatically be designated as seniors, did not appeal to the bench. The bench was also not impressed with her suggestion that there should be interviews for nominating a counsel as senior on the ground that the process did not involve selection as the judges always interacted with them during hearing. While showing its disagreement, the court remarked, just because a lawyer has spent a number of years in the profession cannot be a ground for his designation. You will also say that lawyers with education in Harvard, Oxford be considered for designation as senior counsel. Qeustioning the criteria suggested by Jaising that is to give marks to candidates and when she spoke about the practice of lobbying, the court asked “did you lobby for your gown ? Rohatgi then opposed the suggestion of a marking system. He also vehemently argued that the designation process should restart and that this case should be closed. While Singhvi maintained that a mechanism of marking could be followed internally by the judges, his stress was on consistency. Dushyant Dave said the Court should formulate some rules but it should not go for a very formal method. The court had given the parties one week’s time to file their written submissions and suggestions to make the process of designation more transparent.